I’d like to say that my first year as a mom was all sunshine and butterflies and happy baby giggles. While it certainly had these starry-eyed moments, it also had its challenges… mostly on mental and emotional levels. I went from casually deciding the times when I would workout or catch up with friends or even eat lunch to suddenly having 20 total minutes to squeeze in anything for myself and, if it didn’t happen, better luck tomorrow (with my subconscious reminding me that I was a bad mom to even consider needing time for myself or by myself). 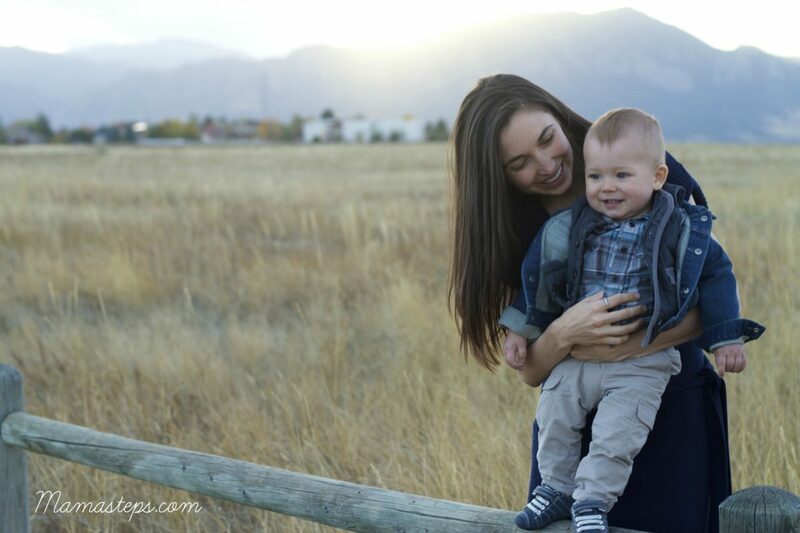 Yet, taking care of ourselves as moms is crucial to being able to do our jobs well… and I wish I had made that a priority sooner, along with a few other lessons I listed below. Learn from my late revelations or maybe pat yourself on the back for having already discovered them. Regardless, if there’s ever an opportunity to learn from another mom, be open to that. Averting an obstacle thanks to another mom’s advice doesn’t make you “less” of a mom. There will be plenty of unexpected challenges in store, so enjoy the opportunity to be in control while you can. This “aha” moment came from writing a piece for Mom.me where I interviewed a team of life coaches who specialize in working with moms. 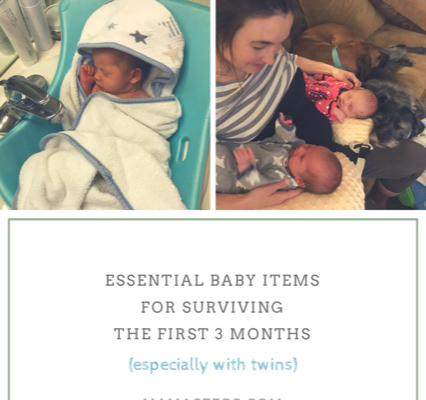 Their phrase for it was “Stop being the Sherpa,” meaning you feel the need to take on the load and that asking for help is a sign of weakness or incompetence or “giving up.” For the majority of last year, I consistently did this… feeling that it was up to me to take care of the baby, make dinner every night, run every errand, walk the dogs, etc. And, inevitably, I became burned out and resentful. Now, I’ll make plans to go to yoga or have a girls night and put it on the calendar so my husband knows when he’s “on duty.” We make a menu at the start of the week as well so he knows what meals he’s cooking. Acknowledging when I need help is still something I’m working on, but these small steps have had an immense impact on my overall well being and stress level as well as my family’s. If I didn’t purposefully schedule time for myself, it wouldn’t happen. It was the day I realized I couldn’t remember the last time I took a shower that set an alarm off in my head. This could no longer be a negotiable task. To make personal hygiene a bigger priority, I would shower as soon as I woke up or, if the baby woke up before that happened, I would put him in his bouncy chair or pack ‘n play so I could make sure it happened. Yes, sometimes he cried the entire time I showered. But you know what? A few minutes of crying was a lot better than me feeling “off” all day long—for both him and me. Also, walking every day provided (and still provides) a huge uplift in my mood and outlook. I regularly set up walks with friends or have trained myself to start putting on my shoes the second I start feeling the “stuck at home” malaise creeping in. It’s a running joke (and maybe a bit of a passive-aggressive dig on my part) that almost ALL of our son’s baby pictures include every. single. family. member… except for me—the one who endured 8 hours of pitocin without an epidural, 24 hours of total labor and 3 hours of pushing with every inch of my being to bring him into this world. Why? Because I’m the one who took all of the pictures! Other than a few selfies, there are next to none of him and me (especially any cool, candid, Instagram-worthy ones). 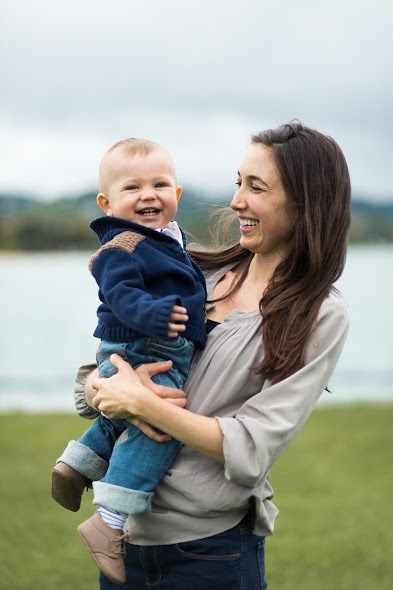 So when Kerry, my doula and fellow mama friend, generously offered to take some family pictures a few months ago, I jumped at the chance to have some of just me and my boy. Moms… please do this sooner than later, before your kid isn’t a baby anymore. You won’t regret spending money on this, I promise. Motherhood is messy. There’s going to be a spill when you don’t have time to clean up a spill and there are going to be blowouts and spit-ups at the most inopportune times. On a day when my patience was already thin and we were running late for an appointment, my son decided to hurl a sippy cup of milk (that apparently wasn’t fully sealed) on the floor and the entire thing splattered everywhere. I wanted to scream or burst into tears, but I laughed instead (no idea why… maybe from sleep deprivation). That laugh made me instantly soften. And it made my son laugh. And that made the clean-up not so bad. There are worse things to cry about. Spilled milk shouldn’t be one of them (unless it’s breast milk. Then feel free to cry all you want). Are there any other lessons you wish you had learned sooner as a mom? Feel free to share them in the comments! This is all so true and so relatable. Love it! !